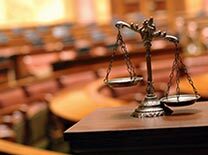 If you need legal advice or representation or are seeking a second opinion and are in the Willow Springs, Western Springs, Brookfield, La Grange, Countryside, Hickory Hills, Lyons, Westchester, Stickney, Oak Lawn and surrounding areas, contact me. For a free initial consultation, call 708-579-5353 or Email me today. James M. Chesloe, LTD, represents clients throughout Illinois, including those in the cities of La Grange, Chicago, La Grange Park, Brookfield, Berwyn, Countryside, Willow Springs, Western Springs, Willowbrook, Indian Head Park, Riverside, North Riverside, Lyons, Westchester and other Western Chicago suburbs as well as the greater counties of Cook, Will and DuPage.